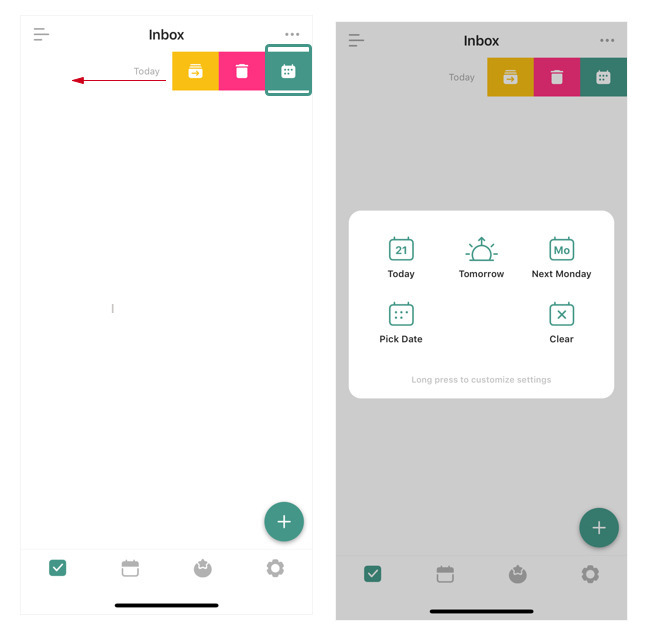 Move a task from one list to another. 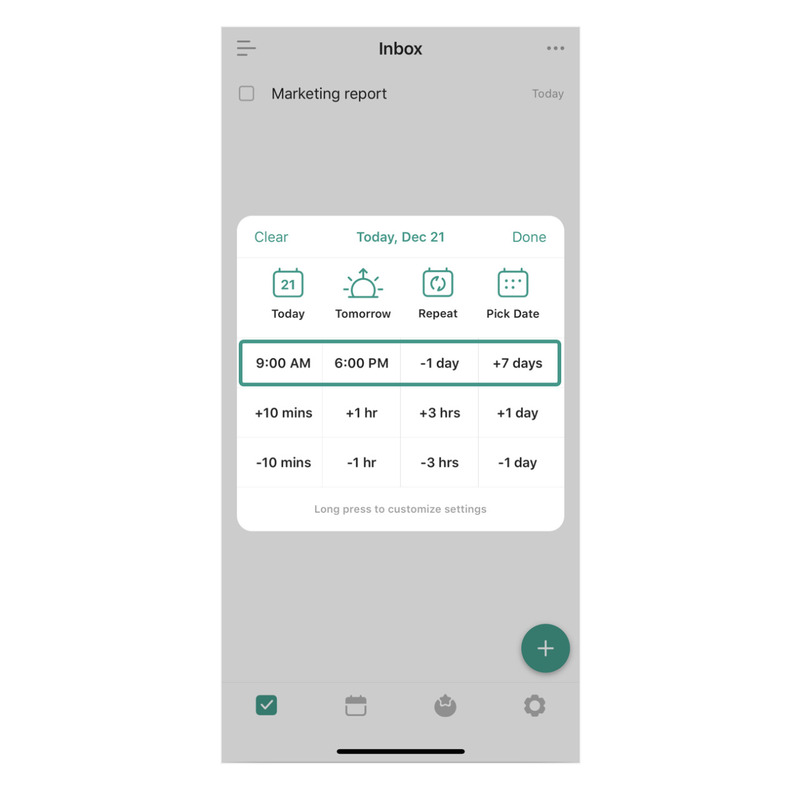 Note: if you long swipe a task to the left, you will automatically enter the quick date menu. Long press on any option to enter the customization settings. Normal Mode is like the old quick date menu where you can have up to 9 options showing on the menu. The difference is that all 9 options can be customized for your needs now. 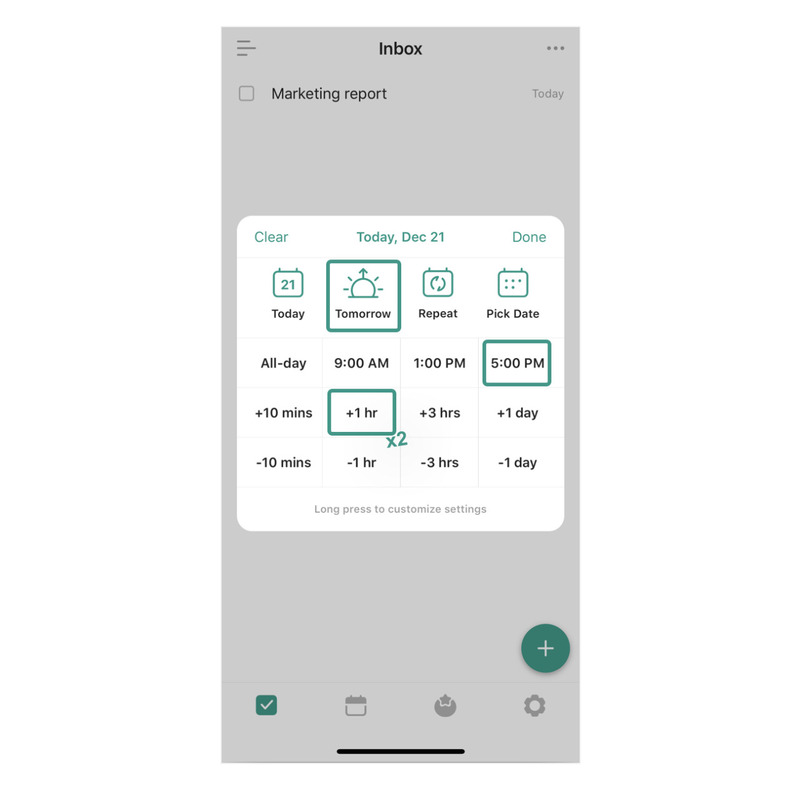 We offer four types of settings include Date, Time, Repeat and Postpone to help you build a most personalized quick date menu. For options you don’t need, simply tap on it and select “None” to get rid of it. Advanced Mode is a new function with lots of geekiness that we made for heavy users. Simply tap the “-1 day” option on the advanced menu and it’s done! 2) Constantly need to move tasks to some particular points in time. Change the options on the advanced menu to your often-used settings. ie. 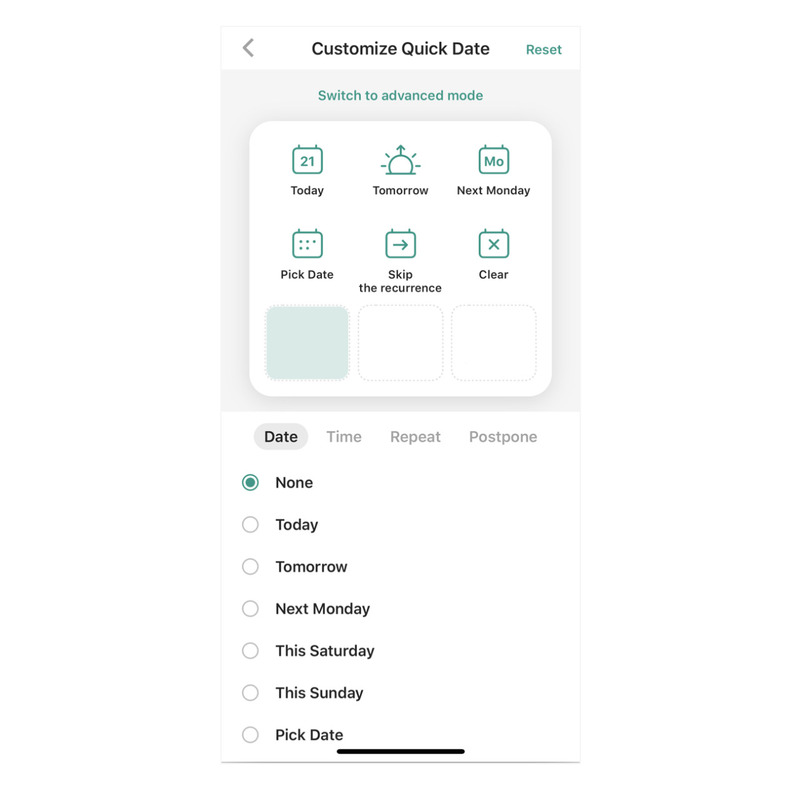 When you have a nine-to-five job, 9 am, 6 pm, -1 day, +7 days might make a perfect row on your quick date menu. 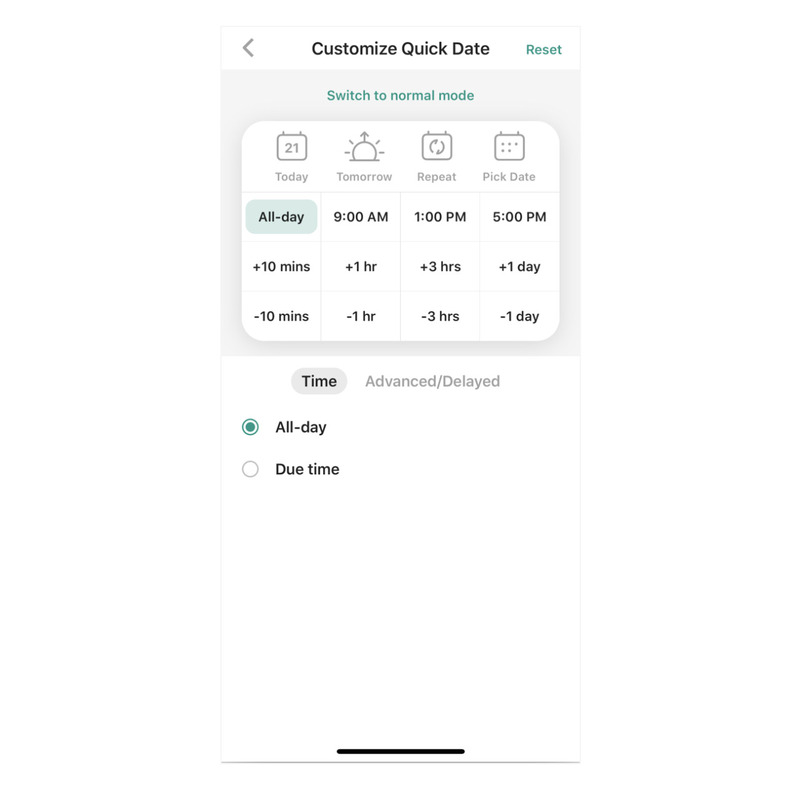 3) Be as flexible as you want and use the advanced quick date menu like a calculator! This is how you do on a default advanced menu. 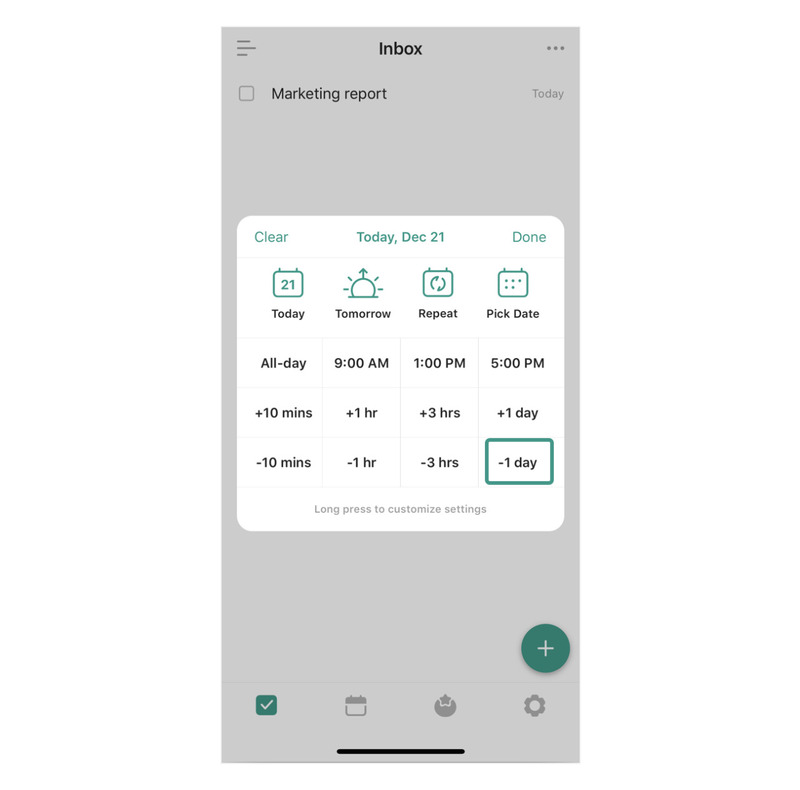 If “+7 hr” is your favourite setting, follow Case 2 and save it on the quick date menu.